Fig. 6. Representative photographs of bronchoalveolar lavage fluids (BALF) from the control (A), 0.5 (B), 2.5 (C), and 10 (D) mg/m3 treatment groups stained with a Diff-Quick staining solution (400 ×). 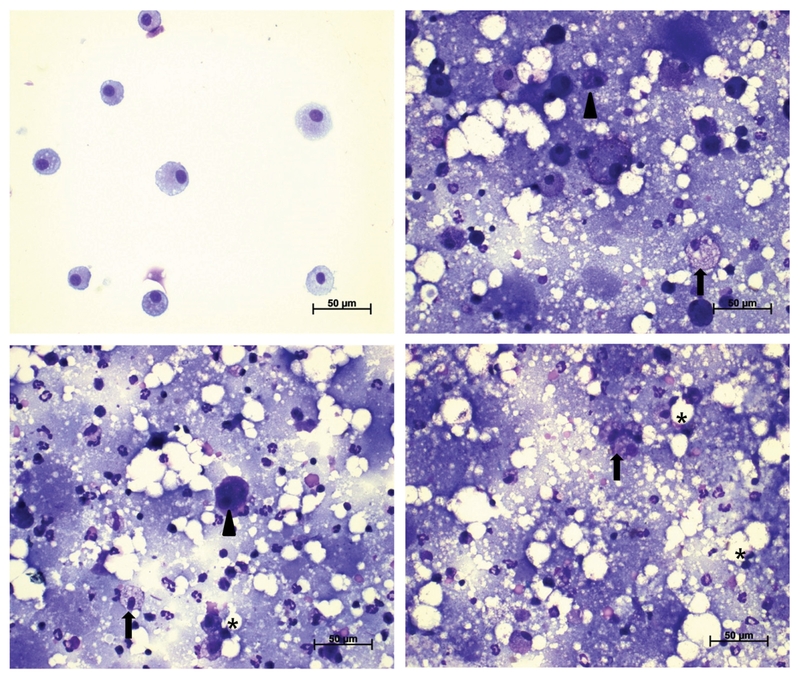 Morphological abnormalities (foamy; arrow, distorted; arrowhead, collapsed; asterisk) of alveolar macrophages were shown.